New costume for Elphelt and more also on the way. 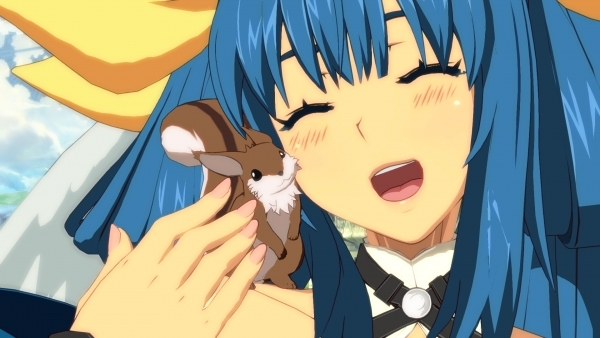 Guilty Gear Xrd: Revealtor will add new playable character Dizzy via downloadable content (available free for one week) tomorrow, July 18, Arc System Works announced at EVO 2016. Additionally, the version 1.03 update of the game is available today, which re-balances all characters and improves usability. Alongside Dizzy, other downloadable content due out tomorrow includes the “SIGN Ver.” costume for Elphelt and costume color pack for Dizzy. Arc System Works also teased the version 1.04 update coming this fall, which adds a “Digital Figure Mode” where you can create your own dioramas and take screenshots from various angles. Guilty Gear Xrd: Revelator is available now for PlayStation 4 and PlayStation 3. Watch Dizzy’s reveal trailer below. View screenshots of Dizzy, Elphelt’s new costume, and the Digital Figure Mode at the gallery.